David S. Atlas, a noted jewelry and gem expert, celebrated 50 years of experience in 2017. 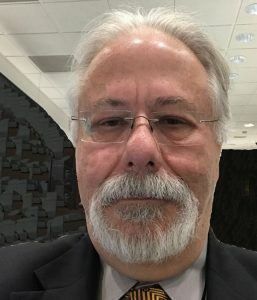 He has combined his real world and industry experience with education from his father, GIA, ISA, ASA, AGS and NAJA for over 5 decades to offer the best in jewelry consultation services, appraisals, and advice in the areas of diamonds, colored gems, precious metals, and jewelry. David began his jewelry career in 1967 with his family firm, which was founded in 1898. He can assist you in making smart decisions when insuring, buying, selling, divorcing, and inheriting precious jewelry and gems. Minimizing insurance costs and taxes, while maximizing any potential benefits is the right course of action. David S. Atlas offers technical, forensic services when needed, such as when there is a question of origin of damage, or differences of opinion which creates worry and concern. He is a consumer advocate offering experienced advice, service and discretion. 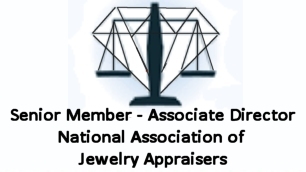 David is an Associate Director of the National Association of Jewelry Appraisers. This is the largest jewelry only appraisal organization both in the USA and the world. He has also been the Chairman of Ethical Issues for this Association for over 20 years, has created their Certification tests and grades all tested advancement exams. You can see to the right side of this page that Mr. Atlas has undergone a full background check to increase public trust in his services and encourages all appraisers to do likewise.